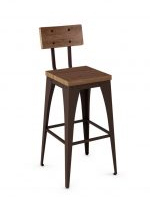 Amisco Upright Tabouret Modern Stool w/ Cushion - Free shipping! 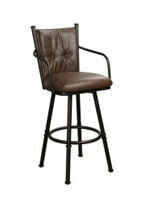 Rivets here, there, and everywhere. 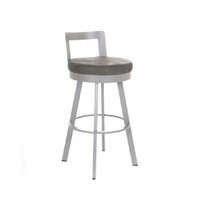 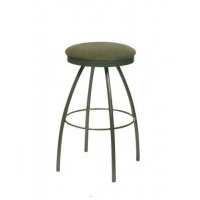 This stool epitomizes industrial style, with exquisite attention to detail and a less-is-more design. 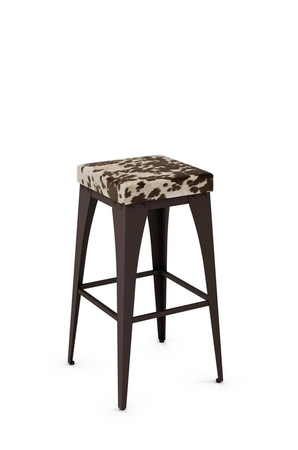 Are you the type who likes a dash of the unexpected in an otherwise sober style? 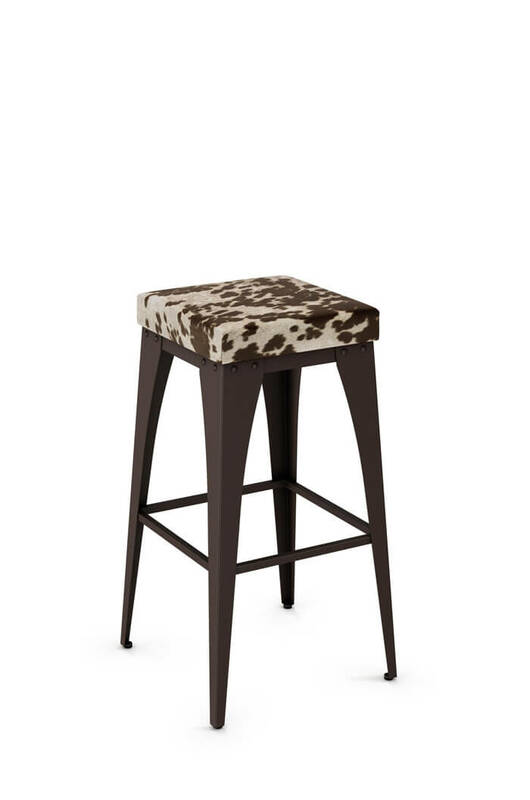 Then you’ll love the offbeat touch of the cowhide-pattern seat. 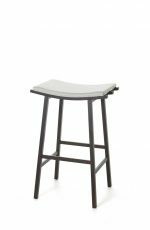 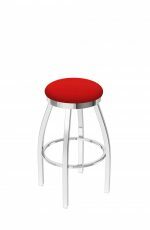 Taboret or tabouret style design is a growing trend of stools that feature a full metal stool with a square seat and legs that come down to a point. 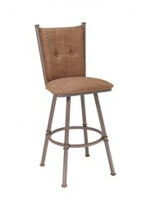 The origin of this started in France in the 17th century and has revolutionized into what we see today. 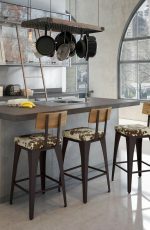 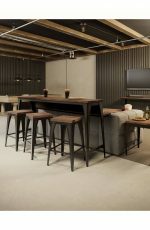 This style compliments modern and industrial spaces and is great in kitchens, bars or game rooms. 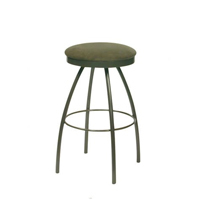 However, most tabouret counter stools, on the market, have known to lack comfort because of their lack of seat cushion and have an undesirable narrow seat at between 12-13 inches. They also have been known to not hold much weight. 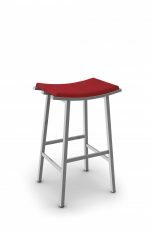 That’s why we offer you the Upright stool, which keeps the tabouret style in tact, all the while making it comfortable with a seat cushion and a wider seat at 16½ inches. 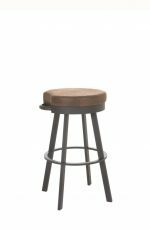 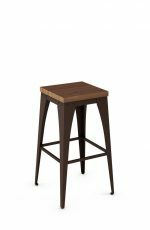 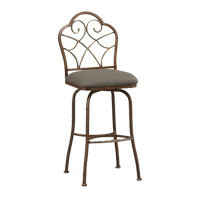 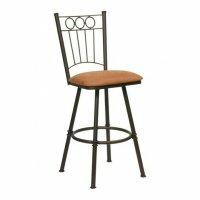 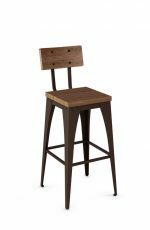 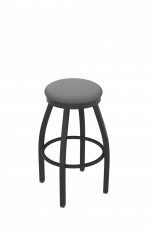 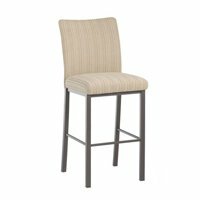 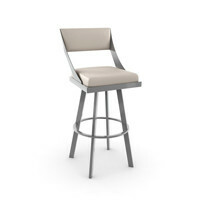 It’s also strong and sturdy enough to hold up to 300 pounds and is built with the highest grade steel, ensuring your tabouret bar stool will last for decades.